It has turnover now exceeding $1 billion per annum, with net assets of $1.5 billion and growing. 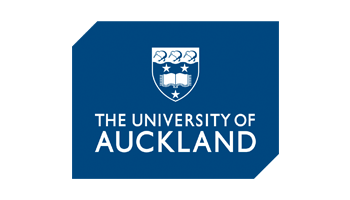 The University of Auckland has a decentralised finance function. Its policy is to have all balance sheet accounts reconciled by cost centre and reviewed within the individual business units on a monthly basis, with a second review performed by the Central Finance team at the end of each quarter. This leads to over 2,500 individual reconciliations that have to be completed each month. Due to the spread of offices over multiple locations, the monitoring of balances and visibility of overall compliance with the policy was poor. The task of collating all the balance sheet reconciliations for the quarterly review was overly onerous and time consuming, making it impossible to provide timely and meaningful management feedback. Accountants would perform balance sheet reconciliations manually using Microsoft Excel spreadsheets. These reconciliations were then printed, reviewed and approved, and then stored as hard copies across multiple physical locations. In summary, prior to embarking on the search for technology to address these issues, the University was experiencing major process inefficiencies, lack of visibility over key account balances and compliance with internal policy, internal control weaknesses raised by external auditors, risk of non-compliance with GAAP, and unnecessary printing and storage costs. The University needed, therefore, to find a tool that would allow it easily to process, complete and store a large volume of reconciliations with automated date stamping of when they were prepared and reviewed. A primary aim was to allow greater visibility of compliance with policy and the ability to monitor account balances promptly. Another goal was to reduce printing and storage costs associated with preparing hard copy reconciliations. As a result, the University identified several providers, received demonstrations and performed a cost/benefits analysis of each. It also spoke with other Universities who used similar products to understand how they were using technology to meet these requirements and their experiences of vendor software solutions. Massive reduction in the time required to complete a full month-end reconciliation cycle. Automated account reconciliation workflow from preparer to reviewer and back to preparers if reconciliations are rejected. Improved visibility of account balances and compliance with internal policy/procedures, thus leading to improved compliance with GAAP. Reduced printing and storage requirements. Before adopting ReconArt™ the University needed roughly nine working days for around 70-80 staff to prepare and review monthly reconciliations. This process additionally required a week for 1-2 staff to centrally collate all reconciliations submitted each quarter and then another week for around 4 central staff to perform the quarterly review, which was often not completed due to time restraints. Allowing staff more time to spend on other value-added priorities. Providing structured visibility around inappropriate accounting practices. Identifying errors that were previously known but difficult to quantify and demonstrate, and giving users ability to resolve them. In summary, the University’s team enjoys working with ReconArt and the excellent customer support and accommodation of all its requirements. As a result, the University is embarking on the next phase of reconciliation automation by deploying ReconArt™’s Matching functionality to moving ever closer towards deployment of the Total Reconciliation Lifecycle™ within a single platform and cloud-based user interface. What's your situation? We got a thing.